An outdoor wireless security systems alarm is usually some sort of motion detector sensor(s) that when actuated initiates some sort of audible or silent signal. 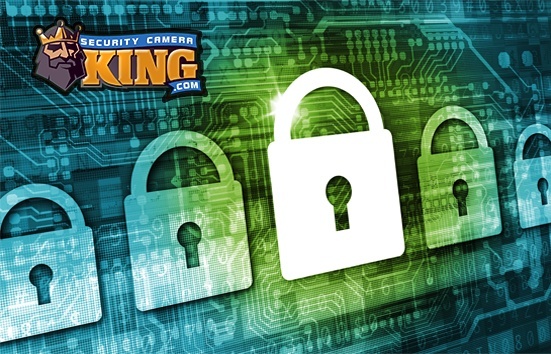 There are several variations on this theme, including digital video camera systems that can function as an outdoor wireless security systems alarm. However, the purpose of any of these variations is the same; alert the user when a defined boundary or perimeter has some sort of motion-detectable activity and do it by using sensors that do not require wired connections. There are several uses for outdoor wireless security systems alarms that work on the basis of motion detection. This sort of system can be used as a welcome chime for your business or home. If your residence has a particularly long driveway these alarms are excellent for notifying you when you have a visitor or delivery. Likewise, an outdoor wireless security system alarm can be used to alert you to the presence of someone or something (such as an animal) in a boundary or perimeter. These are particularly useful in industrial and other business applications where safety and security concerns mandate that no unauthorized persons are allowed in specific areas. Residentially, a perimeter can be defined around your house or property and whenever this area has been breeched the alarm can alert you immediately, giving you advanced notice of someone’s presence. They are also great for use in securing outdoor swimming pools, water features, or ponds. There are two basic types of outdoor wireless security systems alarm units, based on their function. The first type is a standalone outdoor wireless security systems alarm and the other is an integrated sensor that communicates with a central control unit that has additional zones connected to it such as doors and windows for example. A standalone unit usually consists of a wireless motion detector sensor that transmits its signal to a corresponding wireless receiver. 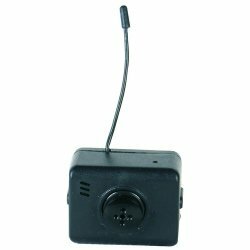 The receiver unit is often about the same size as a cell phone and usually contains its own speaker and chime/alarm sound to notify you when the sensor has been actuated. The integrated sensor consists of a wireless motion detector sensor that transmits its signal to a corresponding wireless receiver that is hard-wired to a central control unit, or to a central control unit that contains its own on-board wireless receiver. Actuation of this sensor sends a signal to the control unit that may react in several ways including sounding an alarm or chime, notifying a professional monitoring service, or even turning on a light or series of lights. Regardless of how the signal is received, the motion detector sensors basically work the same on the basis of infrared wave technology known as PIR or Passive InfraRed Sensing. The PIR sensor measures the infrared radiation from objects with its range or area of view. Motion detection is based on the change of infrared radiation detected when an object with one heat signature passes in front of another object with a different heat signature. Of course the infrared radiation is invisible to the human eye but readily detectable to the sensor. Outdoor wireless security systems alarm sensors should be constructed to withstand the elements. Many high-quality sensors have been evaluated to the Ingress Protection Code and have a rating of IP55 or higher. In addition, most outdoor wireless sensor units operate on a standard or rechargeable battery. Some manufactures claim a normal operating period of up to two years on one battery. Many sensors have selectable fields of view or ranges. It is common for a sensor to contain a switch that can select a 45 foot range or a 15 foot wide angle pattern for example to allow for specific user needs. Transmission ranges vary based on sensors, manufacturers, types etc. but it is not uncommon to find outdoor wireless security systems alarm sensors that have ranges up to 1000 feet or more. However, most of these manufacturer specified ranges are based on Line of Sight or LOS. LOS range means the distance between the sensor’s antenna and the receiver’s antenna without any objects blocking the view between the two. Generally, objects that do impede the LOS do not necessarily prevent transmission but most often reduce the range. The reduction of the LOS range varies based on the object or material that impeded the LOS such as a window, wall, building, trees, etc. The cost of an outdoor wireless security systems alarm varies but are normally very affordable for both residential and business applications.